Even though meal prepping and cooking for days is an important part of the holiday tradition, with our Chef and Butler service you will be pampered with an authentic dinner and outstanding service while enjoying the breathtaking views and home features in total comfort. Rencently classified as “One of the top 5 coolest restaurants in the world” by the Tribune Iternational. Enjoy the best view to the iconic Arch of Cabo San Lucas and Land´s End while you experience excellent service and impecable italian cuisine and seafood and also a brand new champagne bar with several fire pit areas. Experience a selection of activities and fine dining celebrations. Esperanza has it all from a photo with Santa to Christmas progressive family dinner and New Year´s Eve Gala Dinner and live music. With the Sea of Cortez as backdrop and mood lighting from a wall lined with flickering candles COMAL is undeniably romantic and rooted to the authentic and traditional but injected with its own modern, inventive spirit. Here, you´ll dine on braised short rib with cacao broth, along with a selection of the freshest ceviche and crudo prepared in the live-action Raw Bar. The thrilling views at The Cape´s sophisticated signature seafood restaurant offers a dynamic exhibition-style kitchen. The manta ray symbolizes the kitchen´s focus on seafood, while manta in spanish means blanket, conveys the chef´s Enrique Olvera emphasis on comfort with a commitment to sourcing local ingredients from Baja California Sur. A curated beverage menú focused on mezcales, tequilas and sakes. Every year bright bursts of light shower over Medano Beach to ring in the New Year in style with a fantastic fireworks show, iluminating the Sea of Cortez with fantastic colors. Take in the view from beachfront clubs, restaurants, resorts or on Medano Beach. Enjoy an unforgettable night of great music by DJ Coleman and Josh Weathers, dancing, premium cocktails and bottle service. Ring in 2019 aboard the most luxuriuos catamarán. You can dance and toast under the fireworks show over Medano Beach while anchored in the bay. Contact our concierge team today to customize your dream Holiday in Cabo and to book New Year´s events or further details. Dare to immerse yourself in the warm waters of the Sea of Cortez enjoying the grace and kindness of the largest fish in the world, the Whale Shark. This majestic fish is found in the Bay of La Paz where it gives us the opportunity to observe in its natural habitat. An awesome, close-up encounter awaits you, as the whale-sized fish glides slowly through the water in search of plankton, where you’ll be by their side. Swimming gently and slowly near the surface, these docile creatures allow you to approach them without risk. Get ready to live this experience and learn about the marine biodiversity of this area. The best season to enjoy these beautiful giants is from october through march. You can close out the day’s adventure with a visit to the small, beautiful town of Todos Santos, known for its excellent surfing and quainted streets with unique shops and restaurants. For more information please contact our concierges, they will happily assist you to book your tour. One of the most beautiful activities we can do in Los Cabos, along with watching the Gray Whales or swimming with dolphins, is to feel the unique sensation of releasing a baby turtle. An action that gives children and adults a special sensitivity to nature and makes us understand the importance of preserving and respecting the planet in which we live. Baja California Sur is home to five species: leatherback, olive ridley and back that nest on its beaches and hawksbill and loggerhead that only come to feed ion its waters. Sea turtles use tropical beaches for reproduction, but only females come out of the sea to deposit their eggs in the sand. Survivability from hatchling to adult is very low due to natural predation and threats - direct and indirect - caused by humans. It has been estimated that only one of a thousand hatchlings will survive to reach adulthood. ASUPMATOMA is an association in Cabo San Lucas that carries out work to protect turtle nests, in addition to the controlled release of offspring, marking of nesting turtles and the taking of morphometric data in them. They work mainly with the following species: Golfina (Lepidochelys olivacea, Olive ridley). If you want to have this wonderful experience, contact us and our concierges will take care of the arrangements for you to live this unforgettable moment. 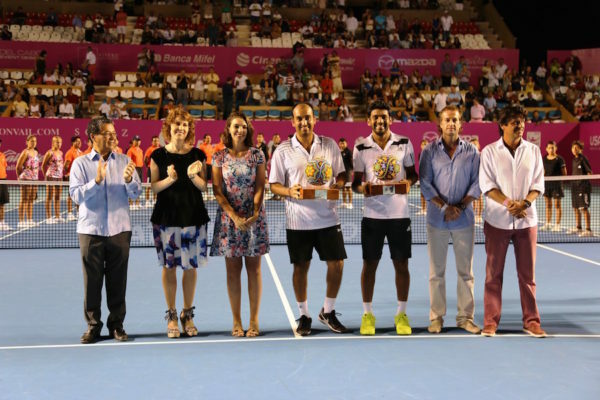 The Los Cabos Open, an ATP (Association of Tennis Professionals) is a sponsored tournament hosted each summer in Cabo San Lucas, it is near downtown where amazing activities can be experienced, along with the background in sight of the emblematic Arch. The tournament will take place on the grounds of the Delmar International School from July 30th to August 4th. 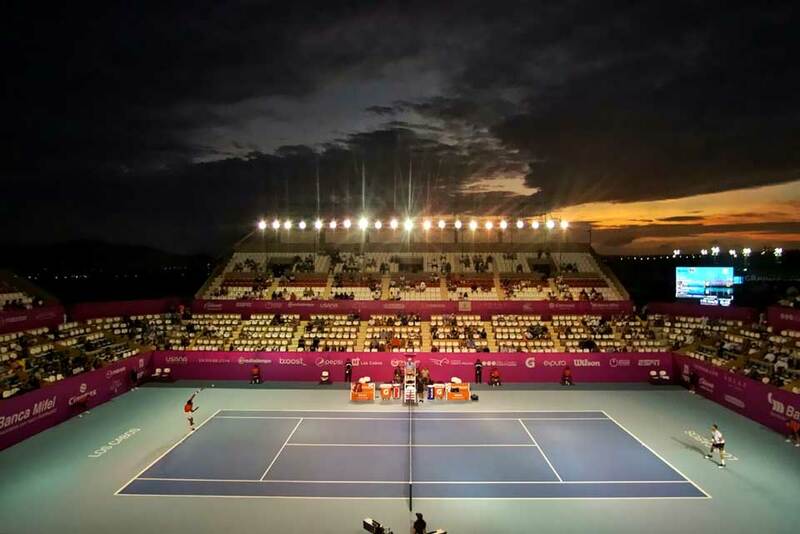 The Los Cabos Open is currently among the 67 best tournaments in the world, and although it has only been around for three years, is already angling to move up to the top 27 by joining the Mexican Open on the ATP 500 roster. We invite you to come and live the experience of this famous tournament and while you are here, enjoy our beautiful town and relax in one of our high end villas. Los Cabos Open of Surf is an inter-national competition that belongs to the World Qualifying Series. The best surfers from around 20 countries will make history from June 11 to 17 of this year at Costa Azul beach in San José del Cabo in its various categories. Surfers from all over the world especially expect this event not only because of the notch and the beautiful tourist spot it is, but also because of the structures of the waves; the launching of Zippers Beach helps a lot in the speed and makes good sections to hit, which makes the beach a favorite with surfers. Los Cabos Open of Surf, is a festival that combines this exciting sport with concerts on the beach. This year, for the main night of Saturday, June 16, starting at 8 o'clock in the evening, on the Koral Center esplanade, the Spanish group Los Amigos Invisibles, and winner of the Grammy Award will perform. Our concierges will gladly give you more information regarding this event. If you missed it on 2017 you can NOT miss it this year!! As one of our primary interests at Francisco Luna is the conservation of the planet; and our Oceans in particular. In reality, 90% of the livable space on our planet is ocean, and it hosts incredibly unique and productive ecosystems and inhabitants. Brightly colored coral reefs, mangroves, hydrothermal vents, swaying kelp forests and everything in between, host life from the smallest microbe to the largest animal. As part of this beautiful heritage, culture and tourist destination, we are very proud to sponsor Estrella Navarro, who is a Marine Biologist who specializes in shark biology and ecology. She is involved with media outreach work to foster marine conservation, including television and documentary collaborations with the BBC and the Travel Channel. Estrella is also the first Mexican to be on the podium and the first Latin-American Woman to win a medal in the free diving World Championships swimming to depth without fins in one breathe. For its fifth consecutive year, San Jose Jazz Weekend will take place on February 17 and 18, 2018 at Plaza del Pescador in San José del Cabo. This popular event features local, national and international artists. In recent years, San Jose Jazz Weekend has received more than 5,000 attendees, both visitors and locals, who come to enjoy the family atmosphere along with food and drinks from local restaurants, bars and shops in the square. The event has continued to grow each year delighting the local community and its many visitors and has featured many talented musicians and artists that make the event a staple of the winter season in Los Cabos. Sheraton Grand Los Cabos Hacienda del Mar proudly invites you to the 5th Edition of Los Cabos Cheese and Wine Festival that offers a culinary experience like no other. You will savor the best cheese of the world paired with superb international wine labels, and a hot cuisine by our renowned Chef Manuel De Luca and his talented team. The earnings of this is a charity event will be donated to Los Cabos Children's Foundation. It is very possible that you have been to Los Cabos during Whale Season and not had a chance to enjoy this spectacular phenomenon. We invite you to be our guest to one of our ocean front villas where you might get lucky and be surprised by this outstanding show from a “front row seat”. We can also recommend the perfect ride for you to get closer to these amazing creatures as it is a once in a lifetime experience. Between December and April, the Sea of Cortez is home to a variety of whales! Though there are many different species in attendance including Blue, Mink, Brayed, Fin and Sea whales, it is the Humpbacks and their young who are the real stars of the show. Come to Cabo to spend time with the whales; you will not regret it! This New Year take a chance and do something different. What better way to receive it than surrounded by your family, your partner or your best friends in Los Cabos, one of the best New Year’s destinations according to Travel & Leisure. 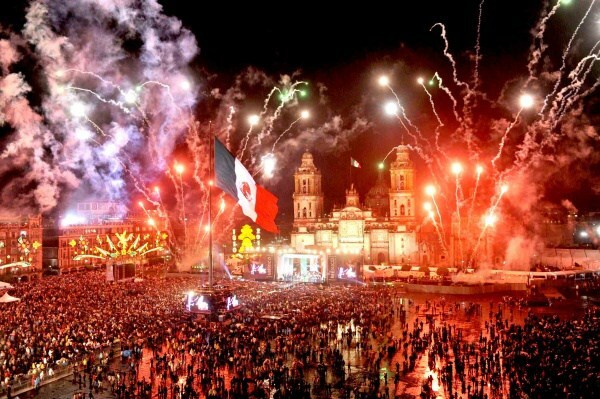 The hotels and restaurants of Cabo San Lucas and San Jose del Cabo prepare special menus for dinner and organize big parties with incredible music and fireworks to welcome the New Year. Escape the cold and enjoy the beaches, the blue skies, the people’s good vibe and the warm weather in Los Cabos. We will make sure you have an experience beyond your imagination. Be our guest! 1. If you are in the San Jose area, you cannot miss going to the best gourmet tacos restaurant “La Lupita”. Not only are you going to taste the best tacos of the area, but also you can drink the best Mezcales from Mexico (an ancestral drink, traditional from our country). Besides the excellent drinks and food, you are going to experience an environment full of enthusiasm with local bands. Get ready to have some fun and dance all night! 2. Flora’s Field Organic Kitchen, is a healthier and organic option. As soon as you arrive, you can appreciate the organic farm where all their fresh ingredients come from. This is part of the exquisite experience and mix of flavors you can taste in their dishes. 3. You cannot leave Cabo without saying that you did not take surf lessons, some of the best waves and locations for surfing in the world are here in Cabo. Our surf instructors count with years and years of experience. Don’t miss the chance to have an amazing time learning a local sport. 4. Snorkeling or scuba diving are definitely another must when you are vacationing in Cabo. We have many locations to do this: The Arch (Sandfalls), Cabo Pulmo, Santa Maria, Chileno, Pelican Rock, Isla del Espiritu Santo, just to name a few. Scuba instructors will give you a 15-30 minute orientation, so you can scuba with their guidance right after these lessons. Believe us; you will be ready in no time to live an unforgettable experience. 5. Either you choose the ATV’s or a Razor's tour, you have to visit the sand dunes and dessert surrounding our beautiful Cabo. Cabo is waiting for you!! Experience an exquisite night of all the flavors of Cabo, with the finest food and wine by the top-tier culinary chefs around the world. Sabor a Cabo is a fundraising event that gathers some of the world's & Cabo's finest International Chefs, who prepare their signature dishes for the attendees while enjoying all the flavors of Cabo and live music. The annual festival, started in 2005, and proceeds go to support local institutions and charities, like the Los Cabos Children’s Foundation and the local Firemen. The thrilling event of the year is coming up. The Bisbee’s Black & Blue Tournament has been taking place in Los Cabos for over 30 years. There are currently two tournaments; Bisbee’s East Cape Offshore in Buenavista which is in July, and the Los Cabos Offshore Charity Tournament and Black & Blue Marlin Tournament which take place in Cabo San Lucas every October. It’s been amazing to see how far this tournament has come since it’s beginnings in 1981 by Bob Bisbee, with just six teams pursuing a prize of $10,000 to now more than 150 teams with millions of dollars on the line. In 2006 the Black & Blue had its biggest overall cash payout of $4,165,960. This was, and remains, the largest payout in sportfishing history. The last tournament or “big show” as many like to describe it, is of course Bisbee’s Black & Blue Marlin Tournament. It’s five days of adrenaline and full of hard-core excitement. With the beautiful and lively city of Cabo San Lucas as the backdrop, thousands of people crowd the marina walkways to shop, party and watch huge fish being weighed in at the scales in front of the world-famous Puerto Paraiso Entertainment Plaza. The Black & Blue is a once in a lifetime experience you’ll never forget, whether you take home memories or millions of dollars. As always, our premier concierge team can help you with booking transportation to and from the event, as well as booking a front row table at one of the surrounding restaurants to witness the grandiose event. Our mission at Francisco Luna Property Management is to truly take care of your home as if it was our own. Paying attention to every detail. Especially during hurricane and tropical storms. We make sure your valuables are protected and preserved as much as possible. We have an incredible team working around the clock during times to ensure we have the least impact on the homes. We truly pride ourselves in the hard work and heart we put into taking care of your home away from home. And we are so honored to have one of our dear members watch this first hand and write in to give us praise and thanks. We appreciate such kind words. Hello all. I was at the house a few times this past week picking up some personal items and was able to see what all you have done to prepare our home for the hurricane season. Wow!!! I had no idea what all you do to get the house prepared. To read the description on paper is one thing but to see it in person is different. All sconces removed, all rugs rolled and protected from potential flooding and stored off the ground, stereo equipment removed from outside, BBQ grill and refrigerator removed and stored in garage, all dishes removed from cabinets, all furniture blocked off the floor. The list goes on, but I just want all the partners to get an idea of the amount of work that is required to do all of this. I also want to let you guys know how much we appreciate the care you take in our home. Each time I stopped by there were people working on different items to keep things looking great. Thank you! Most likely you have heard that the US has issued a travel alert In Mexico. Sadly, Los Cabos and La Paz, are both mentioned in the specific alert for Baja California Sur. There has been recent incidents related to the drug cartel, which has allowed Los Cabos to be placed on the travel alert list. However Mexican officials have gone to lengths to portray the country’s beach resorts as family friendly and safe. These incidents “are extremely rare among the millions of international tourists who visit Los Cabos each year, and the entire tourism industry works to ensure the safety and satisfaction of all visitors. It's now been two weeks since the travel alert was issued. And the Hotel Association of Los Cabos has happily reported that no cancellations have been made so far since the announcement. Which speaks volumes of the trust and knowledge loyal travelers have of this special place. Here is a great article by the Miami Herald which explains in more detail why Los Cabos is still a much safer place than many others. It is always good to know what is going on and also research how much is accurate. Feel free to contact our concierge team to answer any further questions and provide you with the information you need to feel at peace during your upcoming stay with us. Feel free to contact our concierge team to answer any further questions and provide you with the information you need to feel at peace during your upcoming stay with us. The end of summer season here in Los Cabos is close as well as hurricane season. If you are traveling anytime between the months of August, September and October you’ll want to briefly read up on how we can help keep you safe in case of a hurricane taking place during your stay. We highly recommend you purchase a travel insurance plan. It can help to reimburse additional expenses, up to the policy limit, for an extended stay due to grounded flights or an interrupted trip due to damage of your primary residence. We also suggest asking for can goods on your list of grocery shopping if you are requesting for the fridge to be stocked up upon your arrival. All our villas will be equipped with necessary items like first aid kits, batteries, candles, flashlights, and water. All this said, don’t let the fear of hurricanes change your plans of enjoying a lovely getaway in paradise. With a few adjustments to your travel routine, you can adequately prepare yourself for the possibility of a hurricane. Feel free to contact our concierge team for anymore questions you have regarding being prepared for hurricane season. LOS CABOS: #4 IN FORBES TOP TRAVEL PLACES CABO IS HOLLYWOOD’S FAVORITE GETAWAY! 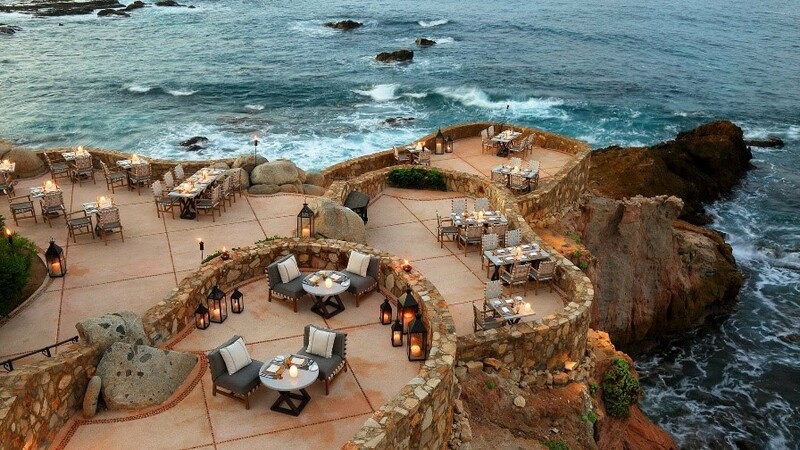 Los Cabos boasts in an incredible accomplishment to be included in such an exclusive list. Being selected by Forbes Travel Guide proves that Mexico, a country so rich in culture and magic, is now seen as a “must” in the luxury destination sector for travelers with the highest expectations. Amongst the top 5 places to visit on this list are France, Rome and even Dubai. There is no surprise why this is also one of the #1 spots for Hollywood personalities to escape and relax. The proximity to the entertainment capital (Los Angeles), combined with the luxury and exclusivity of its villas and resorts, secluded beaches, world class spas and stunning golf courses, make it a celebrity favorite. The people in Los Cabos have done a great job assuring discretion for those seeking complete privacy. At Luna Property Management and Rentals we make sure to continue these high class services with our loyal guests making them feel a celebrity themselves. We pride ourselves with one of the best premier concierge services to provide you with everything you need during your getaway. All of our villas are tucked away giving you the sense of having your own slice of paradise. Let us pamper you in true Hollywood style on your next getaway! Deciding to come to Los Cabos is easy. Deciding what to do with your precious time once in paradise, is where the “hard” decisions take place. There’s never enough time to do it all, but our must-do Cabo adventures are a good way to start and make sure you vacation like a true celebrity. Los Cabos has an incredible variety of stunning greens that remain among the highest in the world. With at least ten months of rain-free vacation, the Los Cabos area has become one of North America’s hottest golf destinations. Our top picks are the famous Ocean Course at Cabo del Sol, Jack Nicklaus and Greg Norman signature Golf courses at Puerto Los Cabos Resort. And Diamante’s Dunes Course and Club Campestre, designed by Davis Love III and Tiger Woods. It’s also the perfect way to learn how to deep sea fish and dive with in a more private and intimate setting. Experience a whole new way of fine dining. One that is not only the freshest with organic ingredients but that is also bringing awareness to being mindful to our planet. There are several “hot spots” in San Jose del Cabo to experience a unique cuisine paired with delicious crafted mexican cocktails. Ingredients from sea and earth, organic fresh vegetables, straight from the orchard ( sometimes just a few feet away from you ) to your table, spiced and blended to complement your experience, offering a unique taste of this magical land, all while listening to live music. One of our favorite places is Flora Farms. At Luna Property Management we strive to make your next getaway your greatest adventure. Contact our premier concierge team to take care of your tea times and any further reservations necessary.